Our baby quilts are delivered to four organizations: The Methodist Women’s Group, Pregnancy Resource Center of Rolla, Birth Right of Rolla, and Russell House. 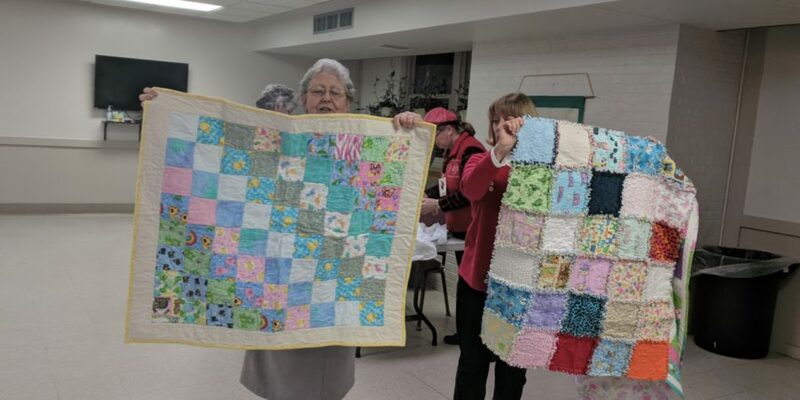 The quilts are given to mothers in need of assistance. I bring quilt kits to every meeting for anyone to take home and make a baby quilt. Fabric, batting, and pattern are included in each kit. I would also like to thank Sue Brunner and Robbie Perkins for their donation of fabric along with a Master Gardener friend Sharon Vandyke. Thank you all for your support of this service project. It is a pleasure to have the opportunity to chair this project.